LINCOLN, Neb. (Jan. 9, 2019) – NET’s popular television series “Nebraska Stories” will return for its 10th season at 8 p.m. CT, Thursday, Jan. 17. 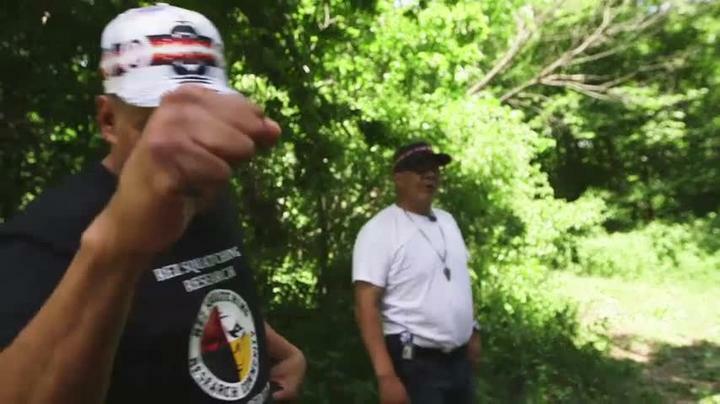 'And We Walked' -- the Ponca Tribe walks 280 miles in their ancestors’ footsteps. Enjoyed by viewers across the state for its engaging storytelling and beautiful visuals, “Nebraska Stories” explores the art, nature, food, science, history and people that make Nebraska special. Jan. 17’s episode will feature an emotional journey as members of the Ponca Tribe walk 280 miles in their ancestors’ footsteps, an Omaha cancer hospital’s use of art in healing and the unique bond between a Grand Island coach and player. “Aiming for the Old West,” a segment exploring Grand Island’s annual Cowboy Action Shooters contest. “Final Call for Lincoln Telephone,” a tribute to Lincoln’s Frank H. Woods Telephone Museum, which closed this past summer. “Earning His Stripes,” a portrait of Omaha native John Higgins, one of the top NCAA basketball officials in the country. “Nebraska Stories,” funded in part by the Nebraska Tourism Commission and the Margaret and Martha Thomas Foundation, airs Thursdays at 8 p.m. The 13-episode season will also repeat on Sundays at 6 p.m. in January and Mondays at 9 p.m. starting in February. The series can be accessed on Facebook, the NET Nebraska App or at netNebraska.org/nebraskastories.